Roasted Veggies - Kosher In The Kitch! Roasted Veggies - Kosher In The Kitch! I just roasted a bunch of veggies and mixed them together. Mushrooms, onions, garlic & thyme leaves –saute in a separate pan. 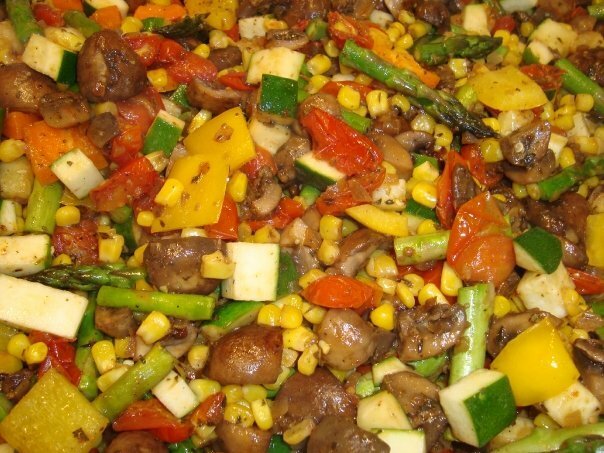 All other veggies can be roasted to sauteed together and then added to mushrooms. Season with olive oil, salt & fresh black pepper. Enjoy!